Please note Sadhana Sargam and Abhijit Ghoshal occurred in past. 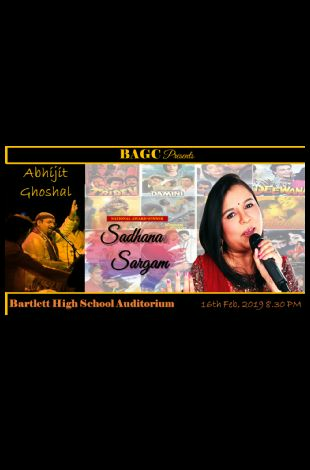 Sadhana Sargam is one of the most accomplished and household names in playback singing within the Indian film industry spanning a career over three decades. Born in a family of musicians she started her career at the age of 4 and has ever since been an integral part of the Indian music industry. Her work ranges from mesmerizing romantic numbers to classical and devotional songs. Abhijit Ghosal is an Indian film singer and his talent was first recognized by a very popular Indian realty show, Sa Re Ga Ma Pa. He was the winner of 11 consecutive episodes of the program judged by the virtuoso of classical as well as the film music of the country. A versatile singer, Abhijit has successfully sung Bollywood songs, Sufi songs, Ghazal and is now planning to make a foray in the Bhajan genre of music. 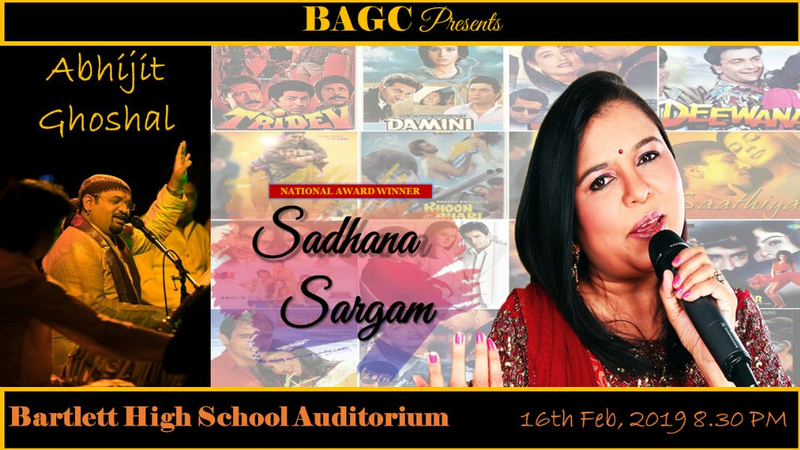 Sadhna Sargam is one of the most acccomplished and household names in playback singing within the Indian film industry spanning a career over three decades. Born in a family of musicians she started her career at the age of 4 and has ever since been an integral part of the Indian music industry. Her work ranges from mesmerizing romantic numbers to trancelike devotional songs. She has sung in 34 regional languages of which her second highest number of songs are in Bengali. She has more than 2500 Bengali songs in her musical treasure and has been a recipient of many prestigious awards. Abhijit Ghosal is an Indian film singer and his talent was first recognized by a very popular Indian realty show, Sa Re Ga Ma Pa. He was the winner of 11 consecutive episodes of the program judged by the virtuosos of classical as well as the film music of the country. A versatile singer, Abhijit has successfully sung Bollywood songs, Sufi songs, Ghazal and is now planning to make a foray in the Bhajan genre of music.